The Islands of St Helena, Ascension and Tristan da Cunha comprise three internally self-governing British Overseas Territories. Consolidated and updated versions of the laws of each of the 3 territories have been published at intervals over the years. The 2001 Revised Edition of the laws of Ascension was in hard copy. It is now replaced by this electronic Revised Edition, which has been produced under the authority of the Revised Edition of the Laws Ordinance, 1999. For a description of the scheme and style of the Revised Edition see the General Introduction to the website. Ascension was formerly a Dependency of St Helena. However, under the 2009 Constitution, it became a separate Territory, albeit with the same Governor, Chief Justice, Supreme Court and Attorney General as St Helena. 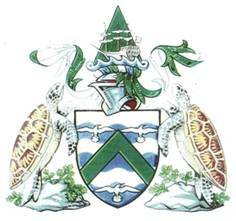 It has its own legislature, which consists of the Governor acting after consultation with the Island Council (section 151 of the Constitution) and can make its own laws, although many of the laws of St Helena also apply (if suitable and not contrary to other applicable laws) as may some of the laws of the United Kingdom; see the General Introduction.